Apply for ComDev’s flagship MA program & courses from 15 March to 15 April! These are exciting times at ComDev again! 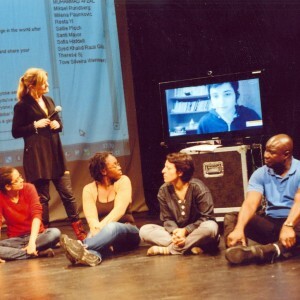 The spring semester with more than 100 students across all our courses is well underway and we are looking forward to our next teaching seminar in April where one of the days will be dedicated to a theatre for development workshop exercise! 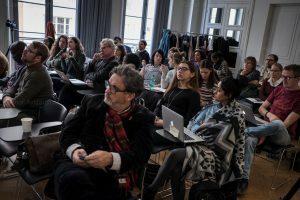 The spring application window for ComDev’s programs and courses is open from 15 March – 15 April and we are once again looking forward to receiving your application. You will find all the details on the 1-year MA page. Based on the strong competition for spaces you should submit the application letter to strengthen your application! The MA program is a 50% full-time course taught in our online blended learning Glocal Classroom that we have pioneered, improved and enhanced for more than 15 years! 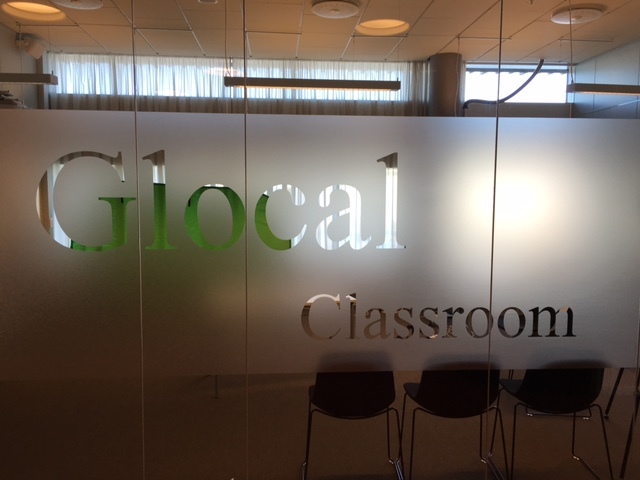 ComDev program coordinator Tobias Denskus recently introduced our Glocal Classroom in the context of Malmö University’s internationalisation efforts. The Glocal Classroom was in action again recently at a very engaging teaching seminar in Tbilisi, Georgia. You can also read what graduates from the course have said about ComDev. 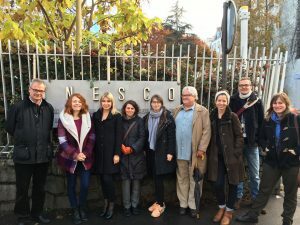 We just uploaded three more profiles in connection with the ComDev experiences in the United Nations system and a portrait of one of our pioneering graduates from 2002! For those of you who already completed 60 ComDev credits, the 2-year MA is now an easy-to-apply-to course package and you will find all the details on the 2-year MA page. And finally, our Advances in Communication for Development: Social Action, Planning and Evaluation course will be available again in the autumn. The course is part of the 2-year MA, but it can also be taken independently as part of your on-going professional development or a great way to get to know ComDev better! Please note that all applications have to be made through Sweden’s central university admissions website and that we only evaluate the letters of intent and not other parts of your application. University admission should always be your first point of contact regarding application matters, including formal qualifications or language requirements. However, our colleagues at Malmö University admissions (admissions(at)mah.se) and our course administrator Åsa Ulemark can be contacted for technical questions regarding your application as well – and you can also get in touch with the ComDev team at comdev(at)mah.se – just allow a few days for replying individually during this busy period of the semester. We are looking forward to your applications and welcoming you to Malmö in September 2018! 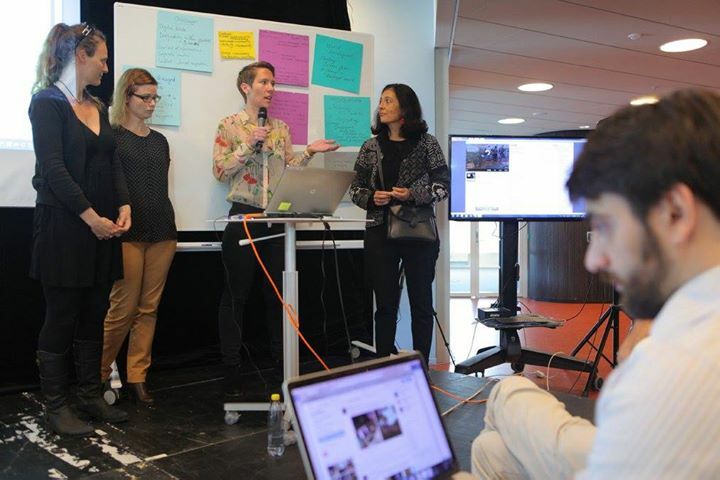 Hosted by Professor Tanya Elder of the American University in central Paris, the ComDev team was joined by more than 20 MA students at one of the largest Glocal Classroom teaching seminars outside the Öresund region from 10-12 November. 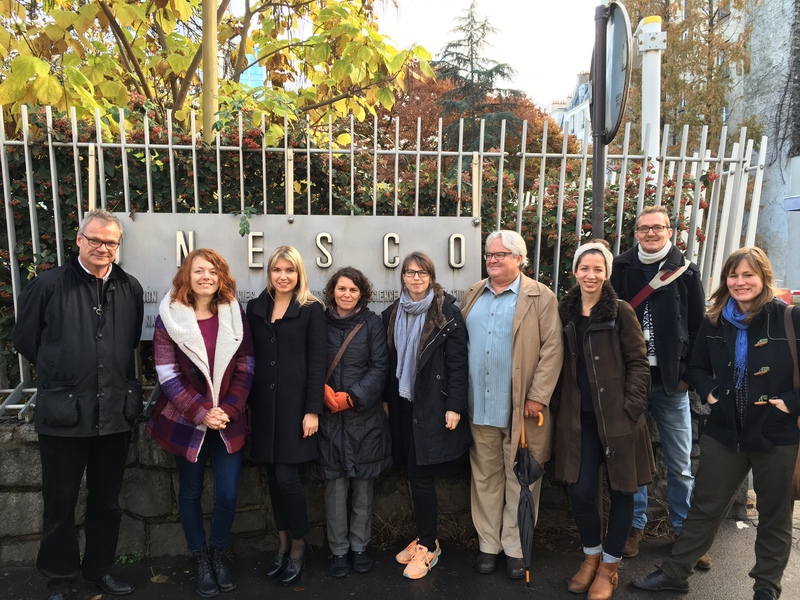 Our ComDev team, led by the course responsible for the Media, Globalization and Development course Hugo Boothby and ComDev program coordinator Tobias Denskus, also met with the Swedish delegation to UNESCO and the local C4D network group before an intensive teaching seminar with inputs from five ComDev teachers and four AUP colleagues. All in all a great opportunity to network with colleagues, students and the Communication for Development community! We were also lucky that one of our students, Conor Ashleigh, is a freelance photographer and he kindly provided one of the photos for this post. The every day class room of ComDev is what we call the ‘Glocal Classroom’. The name is even on the door in our studio. 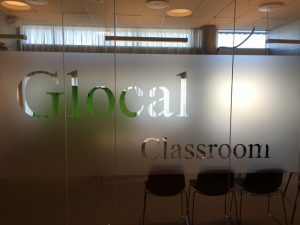 However, there is a particular extended format which not only involves people online as well as in a teaching location in Malmö or somewhere else in the world (as e.g. Paris where we are going to place ourselves in November). This extended format is bridging two physical classrooms, and often two courses, with synchronous interaction between two in situ locations and one online community in one event. It is a more demanding pedagogical challenge, production and mediation, which we havetried in the past with e.g. University of Guelph in Canada, and Flinders University in Australia. 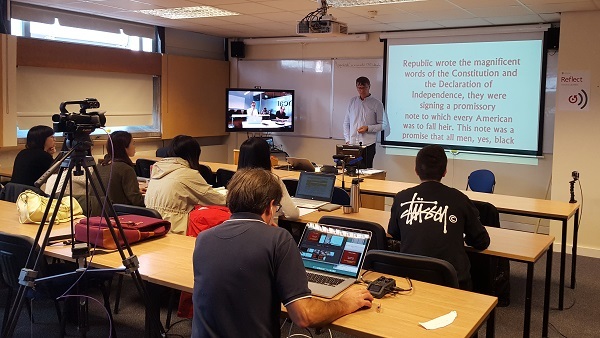 Wednesday 12 October, Professor Thomas Tufte (Media and Communication Studies, University of Leicester) spoke on Storytelling and Social Change at his new Real Life Research Class at University of Leicester. 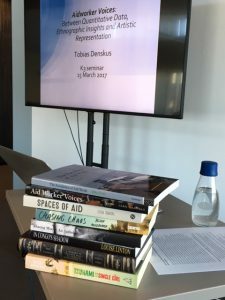 The event was also part of an Advances in Communication for Development course class in Malmö, with Anders Høg Hansen providing a brief introduction to storytelling and some moderation throughout. 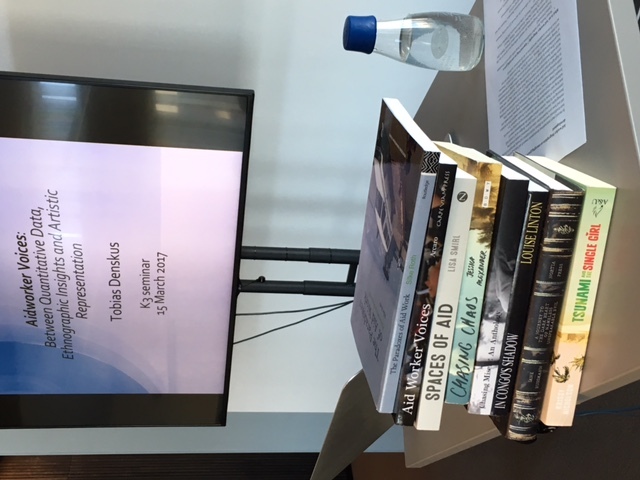 Thomas took the class on tour through ComDev reflections and concepts applied to intriguing examples: from a Martin Luther King speech, over Popeye the Sailor, to the South African Soap Opera Soul City. There was a general focus on Edutainment which may be of interest for the MA ComDev students.